Floor Safety mats used to minimise impact of falls etc. Walls Safety mats on walls. 3. Not use martial art techniques outside of the dojo. Impact techniques Minimal contact is used for striking activities. Correct technique is emphasised. Strikes are directed to safer areas (such as the legs or body) rather than more vulnerable areas such as the head or neck to mitigate the risk of accidental contact causing injury. Throwing techniques Only selected Judo style throws are taught to children. Throws over the hip, shoulder or head are not taught to small children to minimise the risk of falling injuries. Leg sweeps and trips are taught as they are relatively safe. Break falls are taught in order to minimise the risk of injury. Wrestling techniques Hold-down positions and escapes are taught to children. Children wrestle, but chokes, joint locks and other dangerous techniques are prohibited. Instructor Currently Chris Gillies is the only instructor approved to teach Sobukan students. Chris Gillies has a clean character record. 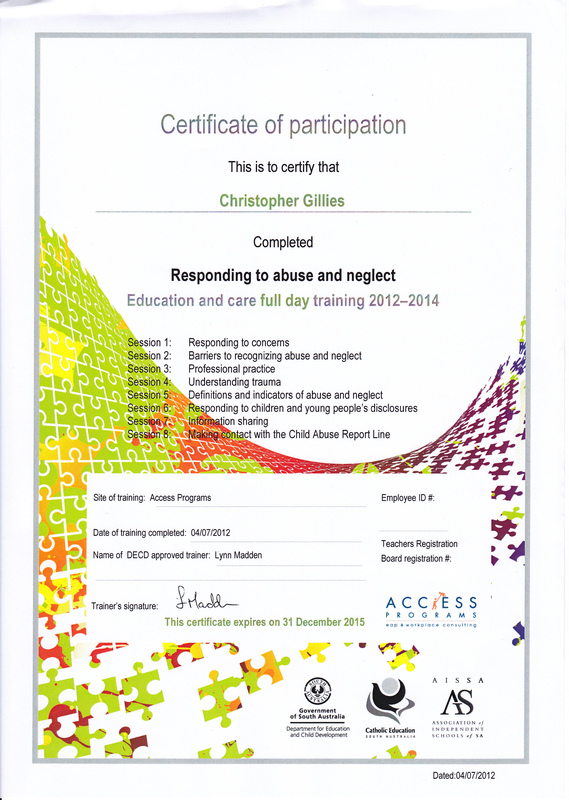 If in the future, further instructors or volunteers are required, police clearance certificates will be requested prior to teaching except in the event of emergency lesson coverage due to injury or similar, and instructors will be required to understand their obligations under the Child Protection Act. 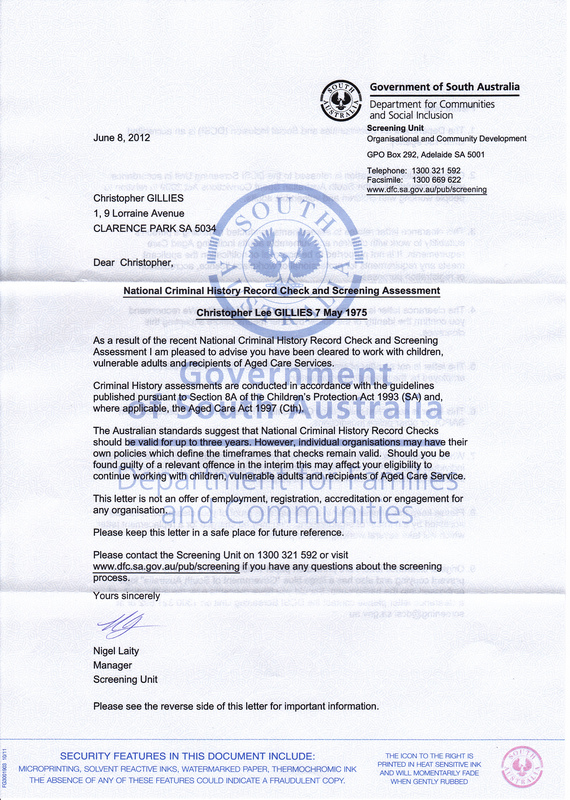 Sexual abuse Currently, Chris Gillies is the sole instructor and has a clean police record (see below). Due to the physical contact necessary in martial art training and instruction, parents are encouraged to remain present and observe classes, and chairs are supplied. Before children participate for the first time, they are advised that they may choose to participate in certain activities, and may elect not to participate in any activities if they feel uncomfortable. Students are asked to volunteer for any activity (such as wrestling) that may involve body contact, and can opt out at any time. Students are taught to assert themselves and taught verbal and non-verbal methods for dealing with confronting issues. Harassment / bullying/emotional abuse Harassment is not tolerated in any shape or form at Sobukan, and anyone found harassing any students will be expelled and reported to the police if appropriate. Techniques and methods taught reduce the likelihood of being victimised or harassed.